Mrs. Betty Mae Stanley Mixson, 84, of Lodge, passed away Saturday, September 1, 2018 at her residence. She was the widow of Pastor Johnny Dewrell Mixson to whom she was married for 61 years. Funeral services will be held 11 o’clock, Wednesday, September 5, 2018 at Community Baptist Church, 15893 Bells Highway, Lodge. Interment will follow in Community Baptist Church Cemetery, Lowcountry Highway, Ruffin. The family will receive friends Tuesday evening from 6 until 8 pm at Community Baptist Church. Born January 5, 1934 in Jasper County, she was a daughter of the late Thelma Stanley and Trottie Mixson Stanley. 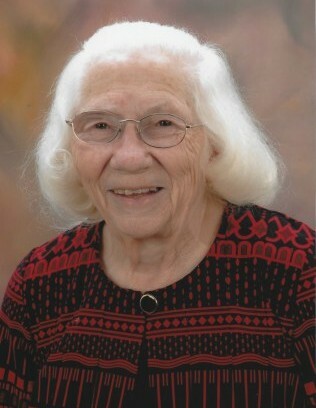 Mrs. Mixson was a devoted wife and mother who dearly loved her husband, children, grandchildren and great grandchildren. She was a member of Community Baptist Church. She loved gardening, reading, sewing and crocheting, was an excellent cook and always helped anyone that was in need. Most of all, Mrs. Betty loved the Lord, loved going to church, and loved reading her Bible and praying. Surviving are: her children, Pastor Johnathan Mixson and his wife Judy of Lodge, Vivian Mixson Priester Lane and her husband Mike of Smoaks, Randall Wade Mixson and his wife Terry of Ruffin, Vicky Mixson Peters and her husband Gary of Lodge, Timothy Mixson and his wife Sheila of Lodge, Ronald Mark Mixson and his wife Tracy of Islandton, Roxanne Mixson Owens and her husband Randy of Hampton, and Jan Mixson Krontz and her husband Jeff of St. Stephen; 36 grandchildren; 56 great grandchildren; brother, Olin Stanley of Bradley; sisters, Elizabeth Zahler of Goose Creek and Janie Heape of Varnville; and brother-in-law, Benjamin Dennis of Peoria, Arizona. She was preceded in death by brothers, Andrew Stanley, Vincent Stanley, Ben Stanley, and Edgar Stanley; and sisters, Louise Smith and Helen Dennis.